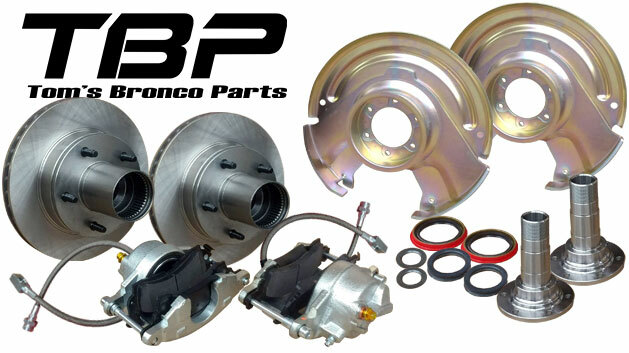 Our Front Disc Brake Conversion Kit for 66-75 Ford Broncos can't be beat. These front disc brakes conversions are made with ALL NEW PARTS! Stop brake pull or fading brakes when they're wet. Originally, the Ford Bronco came with drum brakes on all four wheels from 1966 to 1975. While drum brakes are commonly used even today in many applications, they pose serious risks when braking, especially under extreme conditions. 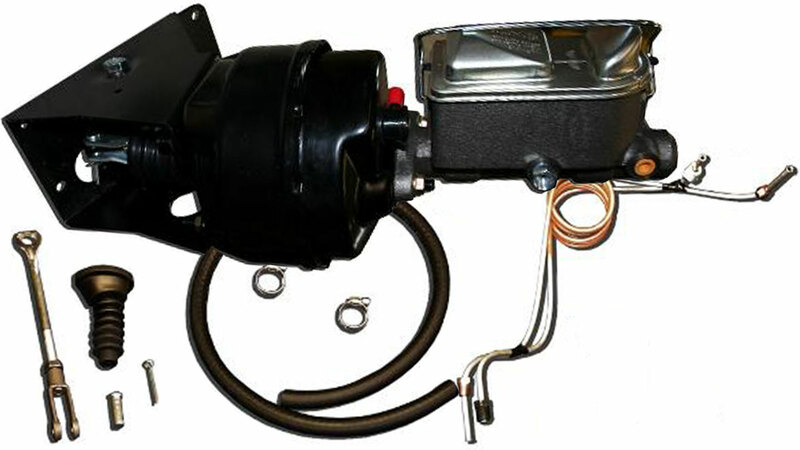 Drum brakes have a tendency to lock up when too much pressure is applied to the brake pedal causing your Bronco to skid out of control or pull hard to one side. With Disc Brakes in the Bronco this issue is resolved as disc brake calipers don't tend to lock up like their drum brake counterparts. Another issue found in drum brake setups is that when water catches inside the drum assembly it can cause the brakes to slip or not catch at all. Disc Brakes also eliminate this issue because the brake pads are not enclosed in a drum so the moisture won't pool up to cause this issue. These safety concerns are two of the best reasons to purchase a disc brake conversion for your early Ford Bronco. There are many more advantages to be found as well, but the point here is that disc brakes are much more desirable than drum brakes for both safety and performance. Must use Warn Locking Hubs or other aftermarket locking hub setup with this kit. 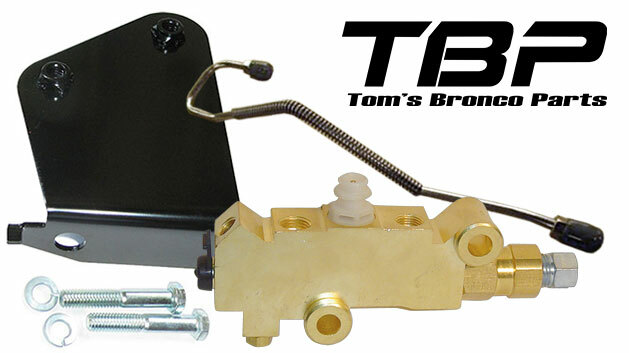 If you need the proportioning valve and bracket select Disc Brakes Kit w/Prop Valve and Bracket. 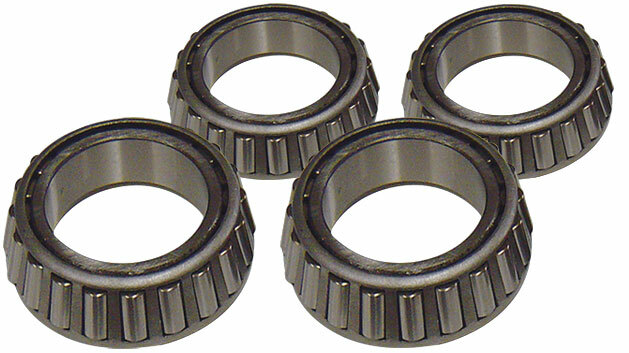 For Broncos with Dana 30 front end, you will need to purchase spindle seals as well. 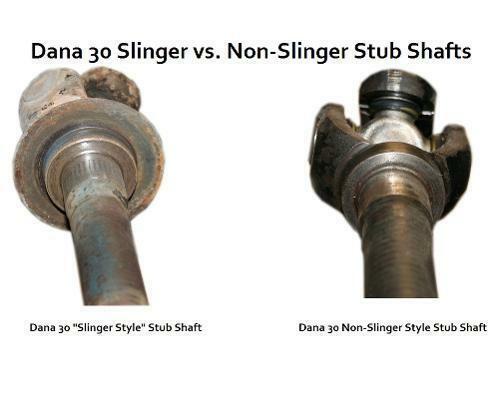 There are two styles of spindle seal for the Dana 30; seals for axles with slingers and seals for axles without slingers. If you are unsure whether your Dana 30 axles have slingers, you can purchase the #3509B Spindles Seals w/o Slingers and simply remove your slingers and install.